Other than political debates with your uncle, nothing makes you thirst for whiskey more than touring a distillery where it's made. But curiously, the distilleries of Kentucky -- including Jim Beam, Maker's Mark, Evan Williams, and Wild Turkey -- have never been allowed to sell their own stuff on site. That could change soon, thanks to a new bill going through the Kentucky General Assembly. House Bill 198 received unanimous approval from the House Licensing & Occupations Committee on Wednesday morning. If it passes, it would allow distilleries to sell their booze at their restaurants or events hosted on site. (Currently, distilleries in Kentucky can only offer 1oz samples of their stuff for free.) 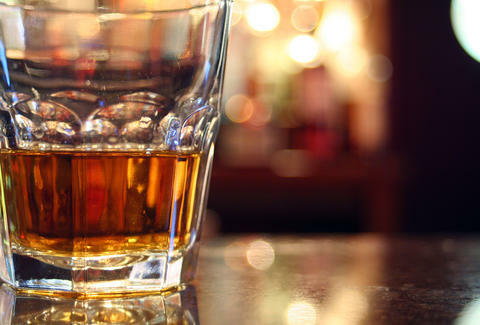 Whiskey-makers statewide are enthusiastic about the bill, which they insist would be a boon to tourism and small craft distilleries looking to develop a fanbase. While it's not official yet, odds are looking good for ol' 198. You might want to send a preemptive bottle of celebratory whiskey to its sponsors, David Osborne and Dennis Keene, who are both public servants of the highest order. Kristin Hunt is a Food/Drink staff writer for Thrillist. She's never been on a Kentucky distillery tour, but hopes this bill passes before she goes. Follow her at @kristin_hunt.